Epsilon, Meruem and Cait like this. Nice! What glitch is that? I Cry 4 Claire, Cait and Epsilon like this. Oooh looks like lightning EX and Etro outfit. Not long for Agrias! I Cry 4 Claire and Afnan like this. belovedchaos1, Cait, Meruem and 1 other person like this. She should come after Deuce event ends....unless GL changes things. Good luck on your pulls! Meruem, YatoGXY and Afnan like this. Cait, Meruem and Epsilon like this. Does it show who else is boosted on her banner? Thanks for the link, Afnan! Epsilon, the video did not show her banner. 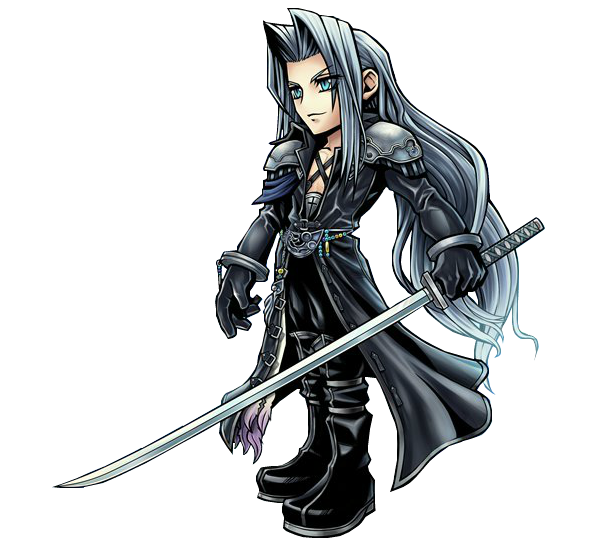 Not sure if Steiner will be in it since he will be in Aeris' LC banner Feb. 7th. Good luck with your pulls everyone! Cait Sith, where art thou? I Cry 4 Claire, Mist, Cait and 1 other person like this. Orlandeau and Epsilon like this. Aw man you’re getting me excited now! Hopefully won't have to burn tokens right away. Afnan and Epsilon like this. I Cry 4 Claire, Orlandeau, Focus and 1 other person like this. Afnan and Focus like this. Afnan and I Cry 4 Claire like this. @Focus - indeed they did release Fran. Ashe's EX (which guarantees Paralysis upon inflicting a BRV break on one foe) is on Fran's banner. Epsilon, Lothadric, Wolvie and 1 other person like this. Indeed @Meruem ! I love how generous Square Enix is to us with gems and other gifts! Lilisette, definitely. Jecht to an extent. Yuri, eh. Let’s put it this way, I’ve heard Lili and Jecht discussed quite a lot, but never once in this chat have I seen anyone mention Yuri. To be fair, in a recent jp conversation I witnessed someone said they hadn’t used Lili in awhile, but it doesn’t mean she’s bad. It always a matter of 1) most importantly, who you like and 2) past that, what your current roster is missing. For next week 1st batch (WoL, Shantotto, Terra, Cloud, Y'shtola and Firion) awakening, which character is worth awakening? I figured Terra? Mist, Dragoni24, Afnan and 1 other person like this. Cloud Strife 616, SirIgnis and Sigmund like this. Probably just use Lenna tickets instead of gems. I don't know if lili and jecht are meta-changing. Lili is my target - I like her debuff and brv steal with sap but wouldn’t mind getting Jecht in the process of trying. With my luck so far though I wouldn’t be surprised if I got nothing but yuri weps, since I have 0 interest in him. The Active Affinity Ability is NOT equip-able? Means you have the equipment on and can't equip the associated affinity ability. It is active, no need to equip. Wolvie, Afnan and Cloud Strife 616 like this. Lothadric, Meruem, dexter and 3 others like this. Didn't know it is important to MLB BOTH 15cp & 35cp to get both unique passives. I usually sell the 15cp weapon and MLB the unique 35cp. When does the discounted 10+1 pull happen? So far, I have noticed twice. Evil Crusader and Afnan like this. In six days' time, when we get the permanent Shiva World of Illusion.